Thank you for your interest in hiring University of Chicago graduate students and postdocs. 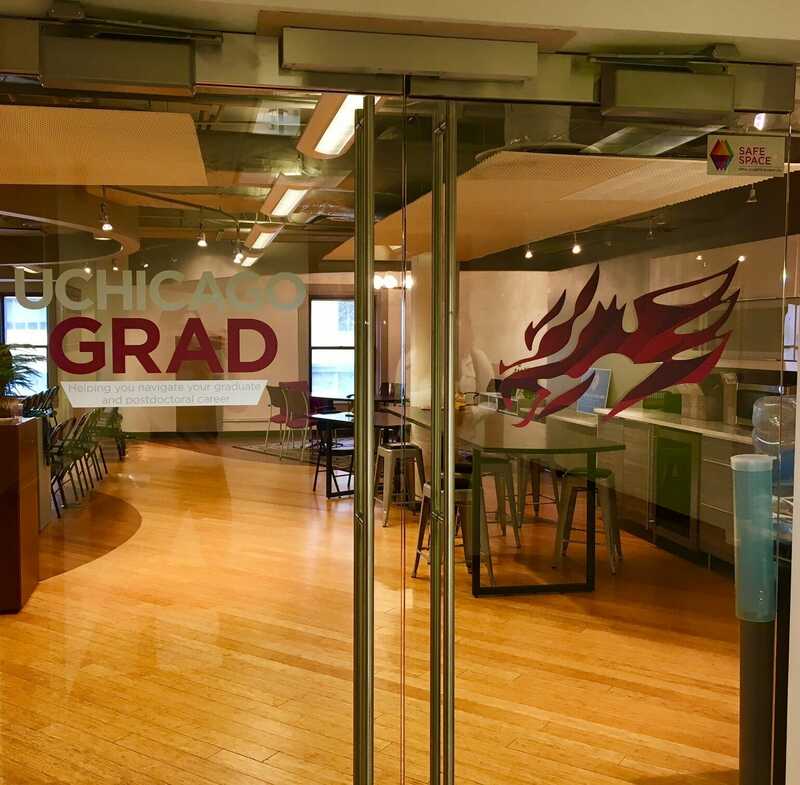 With more than 100 graduate programs and a 125-year history of providing advanced training across disciplines, the University of Chicago attracts some of the most talented students and postdocs in the world. To begin, register as an employer in GRAD Gargoyle. If you have questions about options for employers, please contact GRAD Employer Relations. If you represent an on-campus office looking to hire current graduate students for part-time roles, please post your position on the GRAD Gargoyle job board. Register as an “Employer” to post the opportunity. Please make sure to select the JOB TYPE: STUDENT EMPLOYMENT so that students can find your listing when searching for campus opportunities. Your job may qualify as a Higher Education Administration (HEA) internship opportunity. For more information on this program, please contact GRAD Employer Relations. Employers interested in connecting with undergraduates should visit Career Advancement, where you can post jobs and internships, recruit on campus, and more. 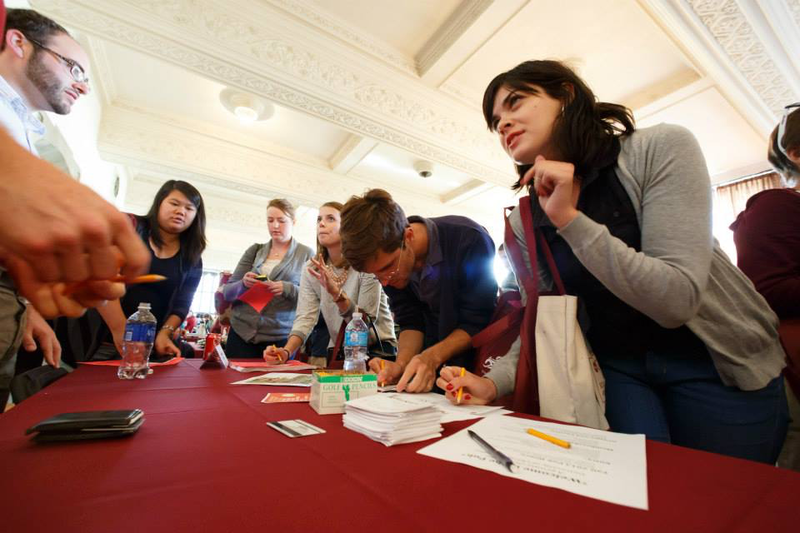 Career Advancement provides career services and employer relations exclusively for students and alumni of UChicago’s undergraduate College. 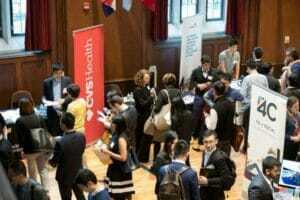 UChicagoGRAD’s fourth annual GRADFair will take place on Thursday, October 18th, 2018 at Ida Noyes Hall (1212 E. 59th St.). 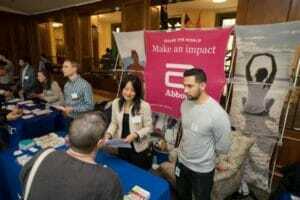 Last year 600+ graduate students and postdocs and 50 employers attended. GRAD & POSTDOC SPECIFIC: For employers specifically seeking advanced degree talent, this event is exclusively open to master’s, doctoral, and postdoctoral candidates as well as recent alumni. CROSS-DISCIPLINARY: GRADFair exposes employers to a range of qualified candidates and skill-sets to help you fill a wide range of open positions by leveraging the diverse backgrounds of our trainees. 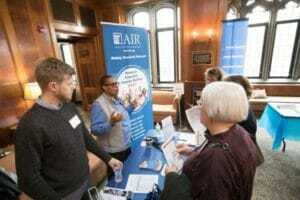 FACULTY-EMPLOYER CONNECTIONS: The Faculty Preview offers an optional opportunity for employers to connect with faculty and administrators from various graduate programs. Graduate students and postdocs arrive in the afternoon to meet employers and learn about career opportunities. A limited amount of interview space is available upon request for GRADFair attendees on the following day. If you wish to invite students/postdocs that you meet at GRADFair for an more in-depth, private interview, please let us know when you register. 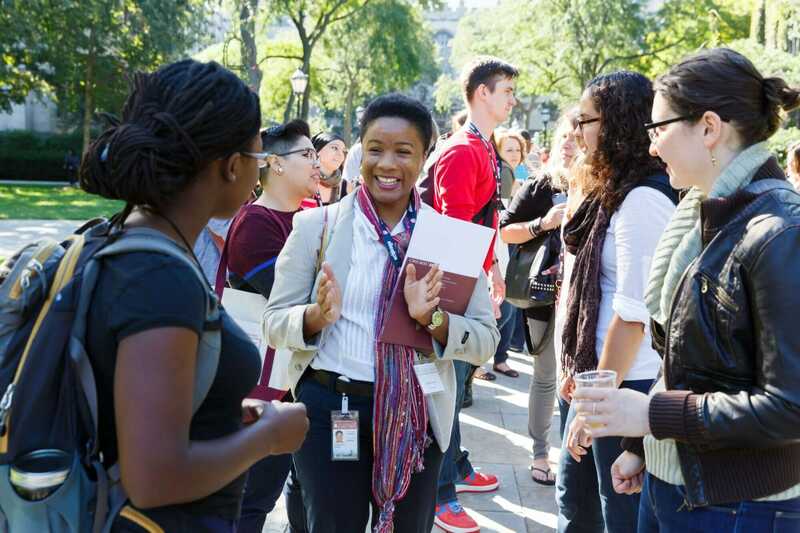 UChicagoGRAD welcomes employers to Hyde Park for on-campus interviews and information sessions. Employers are also invited to hold webinars and virtual interviews. Together, these opportunities enable you to get to know students and postdocs across disciplines and share information about your organization. Employers are invited to hold formal interviews or informal coffee chats with interested graduate student and postdoctoral candidates. UChicagoGRAD can promote virtual or on-campus interview opportunities to targeted groups, and we can collect required materials (resumes, statements of interest) from students and/or postdocs. Begin by signing up for an employer account in GRAD Gargoyle. 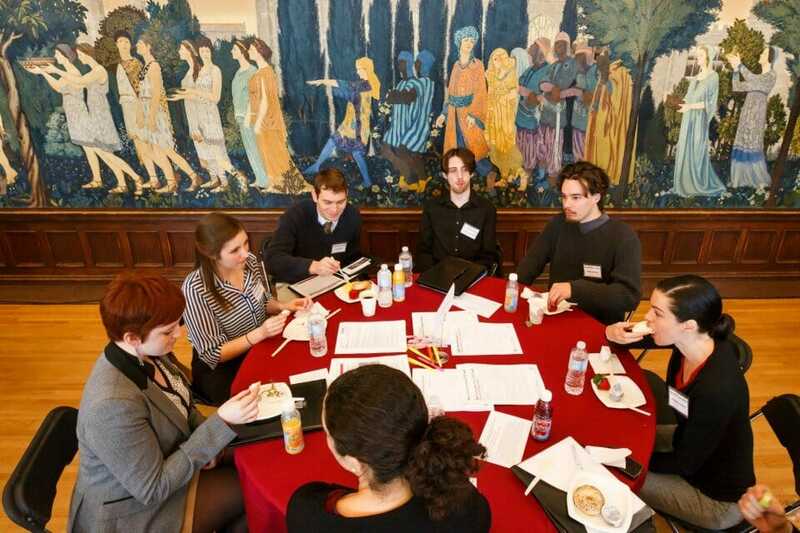 For more information, contact Michael Tessel at UChicagoGRAD. Employer information sessions that target graduate students and postdocs usually attract between 15-30 candidates and last 60-90 minutes. UChicagoGRAD plans all logistics, including room scheduling and promotion. We invite employers who would like to present remotely to be in touch as well. 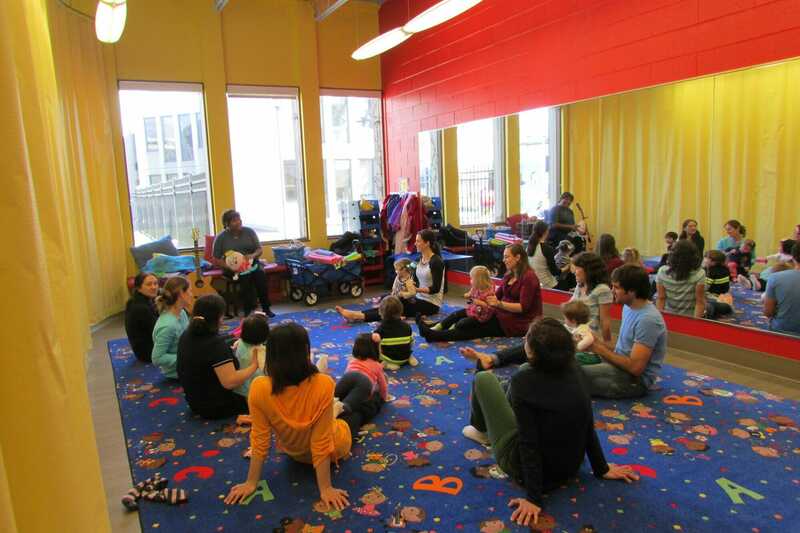 Info sessions can be planned in conjunction with interviews, or they can be standalone events. Begin by signing up for an employer account in GRAD Gargoyle. For more information, contact Michael Tessel at UChicagoGRAD. Is your organization looking to recruit advanced degree professionals with quantitative and computational training? 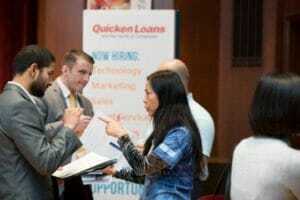 UChicago’s Data Science & Business Analytics Career Fair will be held on Thursday, February 28th, 2019, from 5-9pm at the Gleacher Center in downtown Chicago. The event is a partnership between the Graham School of Continuing Liberal and Professional Studies and UChicagoGRAD and will include 200+ advanced degree students with analytical and computational skills. Featured programs will include: MSc in Analytics, MS in Computer Science, MS in Statistics, MS in Financial Math, MS in Computational analysis & Public Policy, MS in Biomedical Informatics, MS in Computational Social Science, as well as participants from quantitative doctoral programs. NEW: This year the fair will also include Northwestern University graduate students.